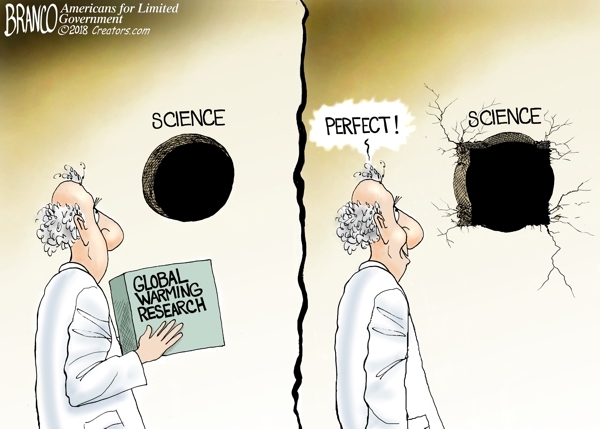 Much of the recent climate-change research and models don’t quite line up with actual science according to some scientist who doesn’t drink the Mass hysteria Kool-Aid. Political cartoon by A.F. Branco Cartoon ©2017.